Casper: How appropriate that a ghost would write in just before Halloween! Honestly, there are a 101 ways for a freelancer to skin that black cat. For starters, this “How Much Should I Charge?” pdf from The Writers Market says this about ghostwriting rates (without royalty or credit): $70 an hour, with a per project low of $5000, high of $100,000, and average of $36,000. The per word costs are 50 cents low, $3 high, and average $1.65. Yeah, that’s a pretty wide range! An experienced ghost can command a much higher fee than a newbie. The length of the book, in terms of word count and page count. How much research needs to be done, or if the content is already in some written form, or if the author provides audio files that can be transcribed (or converted with Dragon) and edited, rather than starting from scratch. How much back-and-forth can be expected in the editing process. I ghostwrote a short-ish book last year for someone who gave me audio files for each chapter. It took me about 60 hours, and I charged $100 an hour — but, admittedly, that’s a lot easier than writing from scratch. It was pretty breezy stuff, and I didn’t have to do any research. As far as payment, I asked for 1/3 up front, 1/3 at the halfway point and 1/3 upon completion, but I didn’t ask for royalties or credit. I’m currently working on another ghostwriting project that’s purely hourly. Again, I am working mostly from existing material that is being edited/fleshed out. For this one, a little research is required as well as some meeting time with the author. I expect it will take a little longer than 60 hours…I estimated it at 100. For a project that’s currently back-burnered, I got paid a couple thousand bucks to create the book proposal and two sample chapters. So far, no bites on agents or publishers, but I got paid for the work I did. (In retrospect, I should have asked for more. Lesson learned!) If the book gets picked up, I am contracted to receive a 15% royalty in addition to getting a percentage of the advance — but I’m not holding my breath. When you add royalties or credit in, it changes the negotiation as well as the ghostwriting rates. And those are also affected by whether the book is going to be self published or if the author has secured a name publisher. (In the latter, royalties would likely have higher value, unless the author has an exceptional sales and marketing plan. Ghostwriting a timely book for a 15-minute celebrity would clearly be more lucrative than even the most respected academician…as sad as that is.) Without a track record, it’s a bit tough to quantify the value of royalties and credit, so I would want to make sure I was paid appropriately for my efforts regardless. Freelancers know very well that fame doesn’t pay the mortgage as well as fortune does. Finally, both parties need to go into it with eyes wide open. Skilled ghosting is more expensive than most inexperienced authors realize — and at the risk of overextending the metaphor, freelance ghostwriting rates may spook them. And it goes without saying that I would have an intellectual property lawyer review the contract before signing anything! Do you have tips on calculating ghostwriting fees? Please share your thoughts in the comments! It’s unfortunate the spread on the Writers Market stats are so wide. It’s almost as bad as having no guidelines at all! But having a low of 50 cents is positive. Very informative. As a longtime ghostwriter, I’ve found that every project is distinct enough that it requires its own considerations and terms. The great unknown–and a factor that can eat up your compensation–is how much research some projects will require. If it’s going to be significant, I often arrange, as a part of my contract, to be paid an hourly rate initially for doing the research, and then later, in the writing phase, move to a per-word fee. @Mike, it’s a rather big ballpark, isn’t it? @Bruce, that’s an excellent idea. In the “I should have asked for more” example above, it would have solved the problem. The writing wasn’t the time-consuming aspect, the research was. As I say, lesson learned! Excellent article and reflective of rates in the real-world for a ghost writer. Bruce gave an excellent tip about how to handle a project that might be hard to pinpoint price because of the research involved–go with an upfront hourly rate to cover the front of the project and switch to a project rate or per word rate for the actual writing. One piece of advice not price related I would give writers considering a ghostwriting project is to be careful of taking on a project from a “client from hell” just to break into ghostwriting. Trust me–a poisonous client situation is not fun … not fun at all. Not to mention those types of projects end up unprofitable because time and aggravation. @Dennis, thanks for the comment. Your advice about not taking on a potentially hazardous project to “break into ghostwriting” is absolutely spot on. The prudent freelancer needs to wait for a good (or, better yet, great) opportunity, not just any opportunity. That’s sound business advice in general, too. Amen, to Dr. Freelance! I remember taking on my first project from ‘the client from hell’ who offered his bedroom to both my new husband and myself for one month while the client and I worked on the project — night and day, I might add! Then, he deducted our room and board from his fee!!! We were (and still are) friends, so didn’t sign a contract about all details. The fabric of “Hey, just stay here with me then we can get more done,” is woven with sticky yarn that can give you literal hives! @Nickolas, thanks for sharing your story. There are quite a few ghostwriting organizations out there, as well as independents. You’ll need to do some research on who might be a good fit, as well as what it might cost, but I wish you the best of luck. I’ll certainly be addressing ghostwriting again in the future, so please keep up posted on what you find. I’m a ghostwriter for a self-published book that sold very well and future books will most likely be picked up by a publisher. I would like to learn more about how i can negotiate a percentage of royalties and advance, or royalties plus an hourly fee for working. Does anyone have advice for that? It was hard not to enjoy in the success of the book, especially as my hourly rate was on the low side. I don’t want to make that mistake again. While I subscribe to the theoretical of avoiding “clients from Hell” (haven’t we all had them? ), how pray tell do you do so when sifting through ghost-writing/ freelance offers? Just curious about your thoughts/filtering process on this. Thanks much. M. and Cindy, thanks for your comments. I’ll provide some thoughts on both topics in an upcoming post and also open it up to the readership for their opinions! Very interesting story. Thanks for the link to the PDF, Got it! I’m a hip hop/rap artist thinking of getting into Ghostwriting for some new and upcoming artists. I ran across your article while searching for info on average royalty percentage for ghost writers in music…. Glad to help, DaCandyLady. Interesting niche—please drop by with an update sometime! I am about to embark on My first ghost writing job and I have some questions. Is it appropriate for me to request a few chapters for reviewal before giving a quota? And how do I negotiate a part of the royalties? The job is to rewrite, polish and Edit a fiction That is currently in rough form at 45k. It sounds like Hannah and I are in a very similar position. I would appreciate feedback as well! Hannah, Josh, Susanna—good thoughts across the board. Will post up some ideas in the coming days. Hi, I just agreed to “edit” a book for a friend-of- a-friend-type-thing and threw out a rate of $4-$ 6 per page, depending on how much they needed from my end. After really talking with the authors, they are hoping for me to do some interviews and pretty much write the whole story. The two authors have no real money, and I am a reporter/copy editor, so am new at working on books. We’re both sort of unproven, so I felt bad charging them a lot. Now, I think I just agreed to working for beans! Is my rate too low? Great advice above, by the way! I so appreciate this site. I am a freelance writer/copyeditor and have been asked to ghostwrite a series of children’s books. In the past, my work has been hourly for editing articles and books, and by the project for broadsheet newspaper sections, with nothing in between. I’ve never done a ghost writing job, per se, although I’ve had to almost re-write some scholarly journal articles. I really appreciate the advice and insight on how to formulate a rate scale in today’s market. I, too, tend to charge too little as I’ve had many of my clients for years am hesitant to raise my rates substantially for them, but can’t really charge new clients a more current fee without the same rates for the current clients. K, I think you ARE working for beans, but at least your foot is in the door and you can see how much work is involved and then revise your fees for future work. You can even tell the clients they got the start-up fee and future work will be at the stardard rate. Don’t want to get stuck at that rate! I am long-time (30 year) writer/editor working in the non-profit field, and currently between jobs. I have done interviews for feature pieces as well as for fundraising videos; edited all manner of manuscripts and proposals; successfully written over other people’s signatures in their voices; and feel comfortable with all of the above, but have never been officially hired as a ghost writer. As a way to make ends meet, I have been thinking about advertising locally as a ghost writer and editor — I can pretty much edit anything. I am considering advertising my services in the local community list-serve. For editing, I was considering charging $40 for the first page and $20 for each page thereafter. Is that too much? Also, how would you recommend getting started as a ghost-writer? Should I offer to do personal memoirs for well-heeled retired folks? Or should I try to get a job with a professional outfit? This is such a good article, I’m just starting ghostwriting too, wish there were more follow up replies! I’m a former literary agent and I am just starting out after about a decade out of the publishing business as a freelance editor and ghostwriter. I plan to charge 20 cents a word for ghostwriting and 1 to 4 cents a word for editing, depending on the level. You say here that 50 cents a word is rock bottom for ghostwriters, but I’ve seen 20 cents elsewhere. Should I up my rates or is this fair since I’ve been out of the game for a while? Also, I put up a website with a free trial period, but will be paying around $95 a month. I haven’t received a single hit. Any advice on how to increase traffic to my site? I know of someone with a wonderful story and have suggested to him that I write a book about it. He agrees and is willing to pursue it. I will be obtaining the information I need through interviews with him over a period of time. I think the book will be more effective if it sounds as though it has been written by him (by James Young with [my name]). I will prepare the proposal, and pitch and write the book. Assuming it is picked up by a publisher, to whom do any payments and royalties go—the subject of the book, who, other than the interviews, has had no creative input, or me, who has conceived of the book, conducted the interviews, written the book, and prepared the proposal? Thanks for the comment, Margo. I’m running short on time this week, but will try to address your query next week. Thank you so much for this advice on ‘ghost writing’ pricing. It was very helpful. 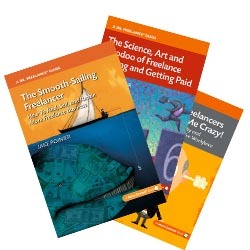 I have recently started a publishing company ‘Shoestring Book Publishing’ with a partner and I was uncertain of the standard fees. It seems it really is dependent upon quite a few variables. Thank you for your article! I found it very helpful as I found it is sometimes best to charge by the hour, but usually charge by the word. It’s good to hear your take and compare notes. Thanks! Well stated, I am meeting with a Writer this morning and you have supplied me with the Agenda of issues to discuss. I hope I can afford him. Thank you for your information. Glad to hear it was helpful, Marvin. Please feel free to share the outcome here if you’d like! Thanks very much for the info. I’ve actually been working as a ghostwriter and editor for quite some time, but it’s always good to have more reference material when I create a rate. Have you ever had the problem of potential clients asking you about previous ghostwriting experiences? I sign an NDA with most of my clients, so going into detail about which books I’ve written is a challenge. How to do address this with people seeking to hire you?